Although many people do get the experience of feeling the cool breeze after the awakening of the Inner Energy, there are also many who do not feel it right away. I was one of them, when I started to meditate. I did not feel anything at all, but I felt very relaxed and peaceful inside. This, and that I was never asked for money, made me go on with this meditation. It might sound strange to give importance to the fact that I did not have to pay for this meditation, but I always thought of meditation as something spiritual, where we connect with something higher, be it our own higher self or a higher power, and it always felt dishonest to me when people made a money business out of it. 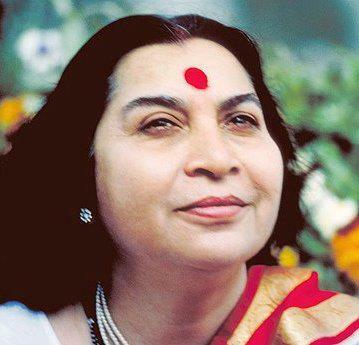 Shri Mataji, the founder of Sahaja Yoga Meditation, always emphasised that this knowledge cannot be sold. My first experience of actually feeling the vibrations was maybe after two years. There were workshops from time to time where someone would sit behind a person and help clearing the energy centers (that will be a subject for a later post where you can learn how to help another person to balance their energy centers). In one of those sessions a lady “worked on me” and suddenly I felt a cool breeze spreading all over my back which was a quite interesting feeling as it was winter time and I was packed in a warm sweater, but the coolness came from under the sweater. 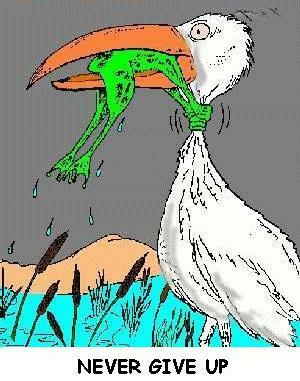 Therefore, my advice: Don’t give up! Luckily, there are some “tricks” to help. We will make a big jump forward to one of the energy-centers that is placed at the level of the throat, called the Vishuddhi. This center allows us to feel the vibrations, so if we don’t, it indicates that this center is constricted. We will have a deeper look into it later on, but for now it is enough to know that one of the main aspects of the throat-center is self-esteem. If we do not respect ourselves, or are buried in guilt-feelings, this center is very likely blocked. Take a paper and a pen. Within 1 minute write down all your negative sides, your weaknesses, and negative habits. Now for another minute write down all your positive sides, your strengths and positive habits. 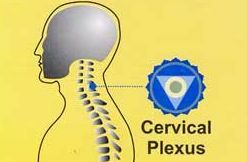 We will work on several levels to open up the throat center. There are some simple physical exercises and treatments we can use. Regular meditation helps a lot. When our Inner Energy is awakened, she starts going into all those energy-centers that are constricted and healing them. With time we may feel an inner freshness and lightness, when more of these inner blocks are dissolved, and replaced with pure energy. How you want others to treat you, so treat yourself. It is very important to see how we deal with mistakes we might have committed. When guilt feelings are pressing down on us, we tend to justify our actions, thus not really facing what we have done wrong, and most of the time continuing with it, feeling more guilty, needing more justifications, and soon we are trapped in a vicious circle. Sometimes we also have the misconception that we think if we have done something wrong, the only way to repent for it is feeling guilty – that is very wrong and one of the main reasons, why our throat center is blocked. If we have done anything wrong, the best way is to face it, take up responsibility and never do the same mistake again. If we have accepted a mistake, and are committed to never repeat it again, there is no need to feel guilty anymore – we have learned a lesson that made us richer in our experience and it is time to go on. Sometimes it can happen, that we feel guilty without having done anything wrong at all. If this is the case, ask yourself again and again, why you feel guilty, and confirm to yourself with full confidence: I am not guilty at all! For those who have not done yet the meditation to awaken the Inner Energy, please do that first, as all the other exercises will only work efficiently if the Inner Energy is awakened. You can find it in step 1. Do the following twice a day if possible, in the morning and in the evening – it takes about 20 minutes. Repeat these exercises as long as it takes to feel the vibrations in the hands and over the head. Press your chin to the chest-bone, roll the tongue back, breathe relaxed and slowly in and out for 1 minute. Put the right hand on the left side of your neck, turn the head to the right and say 16 times aloud and with full confidence: I am not guilty! The reason to say it 16 times is, that this center has – what we call – 16 petals, each representing a quality of this center. These live meditations are being recorded, so that you can meditate also at any other time of the day with a guided meditation, if you wish to. 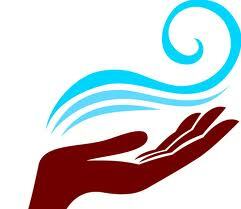 I wish you wonderful meditations with maybe the first hints of the cool breeze in your hands!